New super typhoon Lawin is threatening to hit Luzon, Philippines on October 20, 2016. 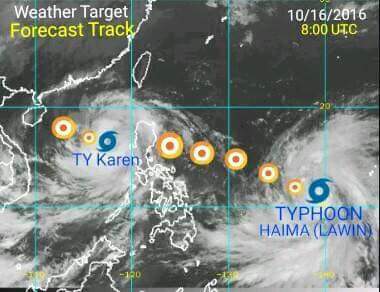 Lawin (int'l Haima) intensifies and is now a Cat 5. Having a wind of 250kph and gustiness of upto 315kph moving west north west. Typhoon Haima's track has again shifted a little south and now a Cat 1 typhoon! Will be a Cat 5 typhoon with winds of 260kph and gust of up to 315kph. 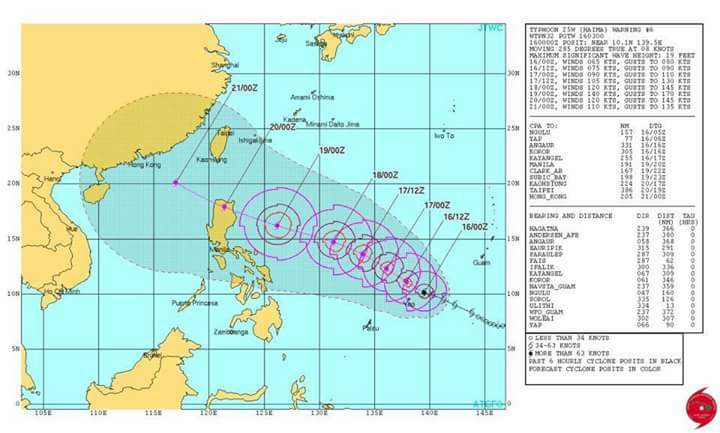 It on track to hit north Luzon.